12 January 2016, at 6:00a.m. With antibiotic resistance becoming a major concern across the world, farmers will become increasingly dependant on biosecurity and disinfection to prevent diseases. Unfortunately, there are a few misconceptions about disinfection that could weaken this line of defence. Glenneis Kriel reports for ThePoultrySite. Bio security and disinfection have always been neglected in favour of vaccinations and the use of antibiotics when it came to disease control. This is starting to change, due to the growing concern over antibiotic resistance and its potential impact on human health. There are nevertheless a few misconceptions about disinfection that could weaken this line of defence. The first, according to Prof Robert Brag, lecturer at University of Free State’s Department of Microbial Biochemical and Food Biotechnology in South Africa, is that disinfection works equally well with all viruses. The truth is that there are two classes of viruses, envelope viruses and naked viruses. “The envelope viruses have a lipid membrane, almost like a soap bubble, that can easily be broken with most types of disinfectants. Once the membrane is destroyed, the virus is unable to enter the host. "The naked viruses don’t have this lipid membrane, but they have a capsid that is very difficult to destroy. There are in effect only a small number of disinfectants that will work on them,” Prof Bragg explained. This is a major problem as it means that most disinfectants won’t work on problematic naked viruses, such as Infectious Bursal Disease, Chicken Anaemia Virus, Adenovirus, Reovirus and many of the enteric viruses. Prof Bragg said that Infectious Bursal Disease and Chicken Anaemia Virus were immune compromising viruses. Failure to effectively remove these viruses during the disinfection stage, will lead to birds becoming more susceptible to diseases and result in poor vaccination. Enteric viruses, on the other hand, will have a negative impact on overall animal performance and result in poor feed conversion ratios. A second misconception surrounds the use of foot baths in bio security. Foot baths are important, but they have to be used correctly, according to Prof Bragg. 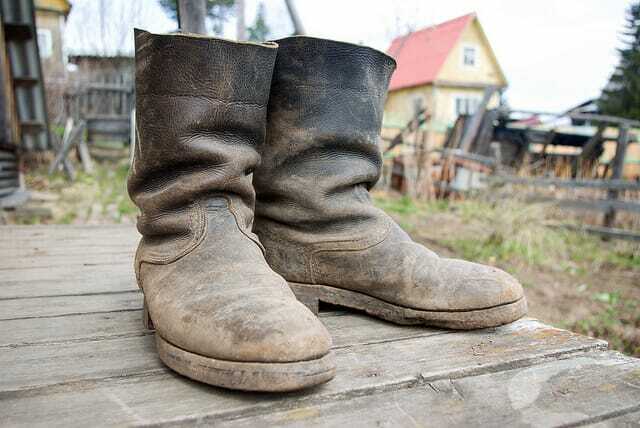 “I have often been at farms where people’s shoes are full of dirt. They walk through footbaths thinking that this would be enough to prevent disease from spreading around on the farm. "Footbaths, however, are there for disinfecting and not cleaning boots. If boots are very dirty, there should be a system for cleaning them before disinfection,” he said. A good solution could be to supply poultry house workers with shoes that were only to be used there and that had to stay on the premises. These shoes had to be disinfected. Bragg added that foot baths had to be cleaned properly on a daily basis and as soon as the water started to look dirty. A third misconception is that disinfectant efficacy can be measured by taking bacterial counts. “I have come across a few producers who take bacterial samples and use this as an indication of whether a disinfectant is working or not. "It is not going to work, as there is no correlation between the efficacy of a product to control naked viruses and bacterial counts,” he said. In spite of a growing concern over disinfectant resistance, it is not yet as big of a problem as antibiotic resistance, according to Prof Bragg. Research has nevertheless found that some bacteria that become resistant to specific antibiotics can become resistant to certain disinfectants, as the genes for both types of resistance can be carried on the same plasmids. The situation therefore has to be well managed to prevent the same situation from developing, as with antibiotics. Prof Bragg for this reason advises producers to ensure they buy a product that works for naked viruses. Producers should also take care to use products according to instructions. Prof Bragg said that many of the good disinfectants are expensive. So instead of using these products according to the recommendations, producers try to save money by using higher dilutions and smaller amounts of the product at a time. “Doing this is like throwing money in the water, as the product is not going to work as well as it should and might therefore result in extra veterinary costs. It could also result in the development of resistance,” he said. Prof Bragg doesn’t like products that recommended different dilutions for different conditions: “It only complicates things. I want something that works for all the indicated conditions at the same dilution,” he said. There is still a lot of debate over whether it is necessary to rotate disinfectants according to their mode of action, as is the practice with antibiotics. Prof Bragg doesn’t think it is necessary to do this yet. His advises producers to speak to the manufacturers and ask whether problems with certain disinfectants are being experienced. The manufacturers can then also give advice on how this situation can be prevented.